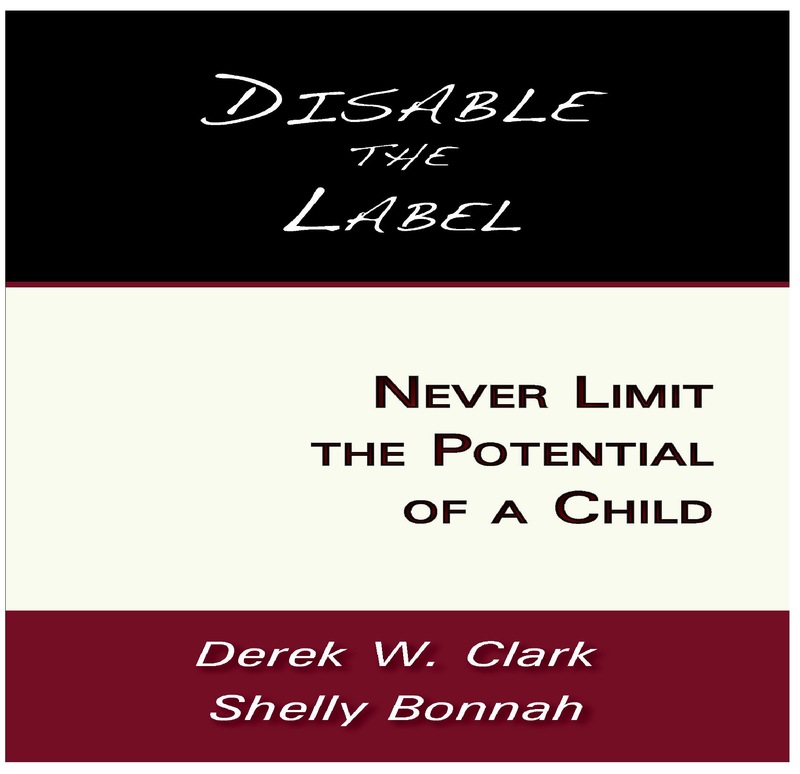 Disable The Label will challenge many of the accepted practices of the child welfare system and provide alternative ways to understand why kids behave in the ways that they do. This understanding will generate hope and restore dignity to the young people as well as restore humanness and compassion in the hearts of professionals. This book will also give you insight into Derek Clark’s personal journey through foster care, and the key reasons that we believe Derek did not turn out addicted, incarcerated, or dead. This is Derek Clark’s story of resisting violence, shame, rejection and reclaiming his greatness. Every professional working with kids in care has a purpose; to make sure that each child feels important, to help them to reclaim their dignity, to feel secure, and to know that their past does not have to infect their future. Who Am I? and Where Do I Belong? may be the private question influencing the public behavior of many children and youth in the foster care system. As professionals in the social service sector, we will explore how this question has been grappled with by kids of all ages who are navigating the foster care system in search of a sense of belonging. We will also describe how children and youth are viewed through the eyes of adults who often know them only through a short window of time. With the introduction of a Response-Based Approach, we are contesting many commonly adopted orientations that pathologize, minimize, and ultimately harm children and youth. Best practices—ethical practices—must include the heightened awareness of our language customs in the social service field and must have a solid foundation rooted in our knowledge of grief, loss and traumatic experiences. Labels take on a life of their own as the words we speak and write have great power to build up, define or defeat a child. These labels have the ability to follow children for the rest of their lives and can shape their attitude, self esteem, relationships and professional life. As caregivers and professionals working for youth in the foster care system, we frequently gather in living rooms, classrooms, and boardrooms to review our practices and strive toward improving the lives of kids in foster care. Similarly, foster kids are gathered disproportionately inside the justice system and are taking psychotropic medication at rates approximately 60% higher than that of kids in the general population (Lambe, 2009). These challenges are not revelations and unfortunately the statistics reflect a broken system. Disable The Label offers an honest view of a child’s experience growing up in the foster care system through his adult perspective, and a framework for professionals to view those experiences. Our belief is that when the adults who touch the lives of children in the child welfare system collectively respond to them differently, the system itself will profoundly change. Child welfare professionals and foster parents must connect with these children and build a relationship of trust. An intimate view into the thoughts, emotions and actions of Derek Clark’s journey through childhood and foster care will answer questions that many professionals working with kids in care may not have the opportunity to ask. Although he grew up angry, violent, and rejecting of most adults in his life—Derek speaks openly about the fundamental elements that made a difference to his success. He is now an inspiring motivational speaker to both youth and adult audiences, the inspirational author of Never Limit Your Life and the award winning I Will Never Give Up book series, and he is also a successful singer/songwriter. Throughout this book, Derek will share an honest perspective regarding his 13 years in the San Francisco bay area foster care system. Mishandled separations are commonplace with youth who are removed from their homes, sometimes numerous times once they are in the foster system. “Consequently, youth living in this type of transient lifestyle over sustained periods of time are pre-conditioned to guard themselves with an understandable unwillingness to interact, integrate, or become emotionally connected to peers and caregivers” (Lambe, 2009, p. 12). Those involved with youth in care have frequent choice-points when responding to youth behavior, as child and youth behavior tends to vary quite radically depending on the environment and how they are responding the individuals around them. Psychiatric interventions, such as physical and chemical restraints may be recommended and employed as treatment strategies for a DSM-IV diagnosis such as ADHD, depression, and attachment disorder. Through the application of a Response-Based approach to the experiences of youth in care, an evolved understanding of the internal experience of these children becomes possible. This new understanding can begin to challenge both social responses and the accepted professional discourse that pathologizes behavior with labels, disorders and chemical ‘treatment’. Our primary goal is to create a useful resource for professionals working for children and youth in the foster care system. With the possibility of understanding the behavior(s) shown by children and youth differently, there is opportunity to respond to them in ways that will create more positive outcomes. We can be both practical and ambitious: this book may not change the system or the government’s way of providing care to kids in our society but it is imminently critical that we collectively find solutions to how we are caring for our most vulnerable youth. Furthermore, statistics clearly indicate that the outcomes for youth in the foster care system are not meeting the objectives of the professionals who are commissioned to care for them. The facts are clear: neither the kids are safe nor are the professionals satisfied. Shelly Bonnah is a foster parent, family therapist and the Chief Operating Officer for a social service agency providing support to children and youth in care. She has often tackled the challenges of anger, violence and rejection from a different vantage point than Derek. These behaviors are thrown into the center between two people who are attempting to form a relationship, sometimes making it virtually impossible to see one another through the chaos. Her adaptation of the Response-Based Approach has made it specific and applicable to youth in care, and offers a way for adults to understand, orient themselves, and respond differently to the grief, loss and traumatic experiences of youth. Although we have written this book collaboratively, we come from very different backgrounds and our voices carry uniquely different messages. For this reason, we have identified our writing in parenthesis throughout the book. Previous ArticleMotivational Speaker Derek Clark's "Rapping Dad" Video Went Viral. Over One Million views!!! Next ArticleHilarious! What These Sons Do With Their Dad is Awesome! Derek Clark and Sons.